Yesterday Billboard announced that Pusha T will be the President of Kanye West's G.O.O.D. Music imprint. I will try to be as unbiased as I can, but for the most part I gotta champion the VA emcee (two up..two down). Let's run through a quick CV. Push took his first steps in the rap game with his brother Malice (known currently as No Malice), as the rap duo the Clipse. Their first LP, Lord Willin', dropped in 02 and has gone on to platinum status. At the time they were under Pharrell's Star Trak Entertainment record label. It was this collaboration that gave birth to the sound that made the two emcees household names for hip hop heads. Lyrically they were one of the strongest duos to come out of VA. And Push started planting the seed that would take the emcee further as a solo act. In 2008 the brothers started their clothing line Play Cloths. Since then the clothing line has expanded and has netted them millions of dollars. In 2010 Pusha T signed to Kanye's label, G.O.O.D. Music. The following year he dropped the critically acclaimed mixtape Fear of God, and later that year the follow up EP Fear of God 2: Let Us Pray. Since then his exposure (and wallet) has grown exponentially. With the exposure of the single Mercy (off of the G.O.O.D. Music compilation album, Cruel Summer), and multiple features throughout Kanye albums, the VA spitter has seen his stock rise in mainstream circles. Push's feature collection has grown to showcase a melting pot of mainstream artists: Kanye, Jeezy, Big Sean, 2 Chainz, Future, Rick Ross, Chris Brown, Kelly Rowland, Kendrick Lamar, Snoop, Jadakiss, The-Dream, French Montana, Omarion, Fabolous and Teyana Taylor. While I would probably only listen to about 5% of that list, it was made to prove a point. A kid from VA who started rapping about drugs, guns and money is now rubbing elbows with a catalog of big name pop artists. But what he has done so well is, that even though he has expanded his fan base, he still makes sure to keep his day one fans happy. His 2013 G.O.O.D. Music debut LP My Name Is My Name was void of radio friendly tracks (even though he did have a few radio singles, and had a feature roster full of said mainstream artists). He stuck to that formula of genuine hard bars and tough beats to satiate his Clipse fans. Push: Just rap about crack. R&B singer: But Push..I am an R&B singer. Push: Nah..just crack. Trust me. Most of these comments are made in jest, because I don't think anyone can question his hustle. From his first Clipse LP, you could tell that Push had visions of being more than just an emcee. This is evident in his venture into the fashion game, which I feel is a true testament to his business acumen. Besides music, I would say that the fashion world is very cutthroat and hard to stand out in. With an over saturation of "urban" clothing lines, it speaks volumes that Push (and his brother) have not only stayed in the clothing game, but have continued to grow and make a substantial profit. Hip hop artists (some who arguably more "fashiony" than the Clipse) have invested in clothing lines, and the majority are extinct or endangered. Play Cloths is making money because, as Push says in the Billboard interview, "He[Kanye] knows I’m outside all the time. He knows that I’m of the people. He knows that I’m in those specific mixes of things that are bubbling up, whether it’s online or before it even really gets hot online. He knows I study those different avenues." No matter how "mainstream" Pusha T might get, he knows where he came from and who are the people that got him here. He is able to bring balance to two industries that have to constantly evolve, music and fashion. Push knows that music is just one of the pillars when it comes to the hip hop culture. And in order to truly grow, they must be aware of ALL the slices that make up the hip hop pie (yes, it is almost lunch and I'm starving). I wish Push the best and hope that he is able to continue contribute to the culture (and keep VA on the map). At his core, he is a genuine kid from the top of the south. Hip hop is bigger than a coast, it is worldwide. 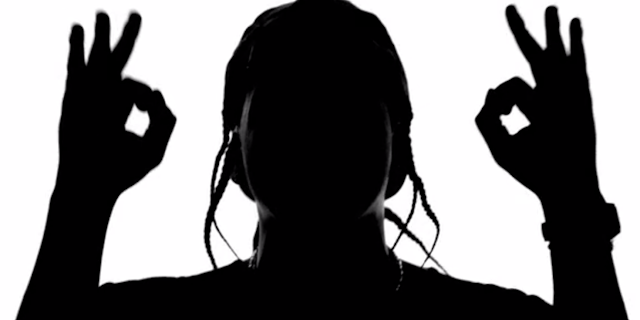 Here's to Pusha T showing the world what we are about. Peep one of the first music videos from the Clipse below..13 years ago. Salute King Push.